A fantastic net return, fully managed with option of a guaranteed lease. This is an exciting and strategic location which is directly adjacent to Middlemore Hospital and only minutes’ drive from the motorway and Auckland Airport. 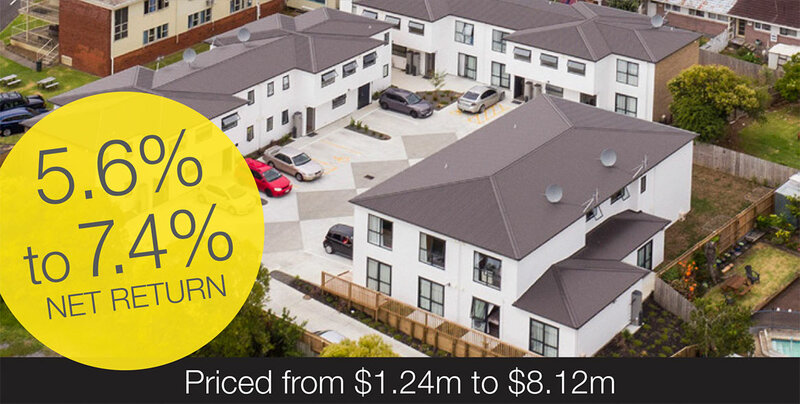 • Investors (and tenants) LOVE this secure gated community of stylish blocks of residential investment studios. • This is a very attractive high growth, high demand location for investors. • This is simple problem free investment at its absolute best! Inspection times scheduled for Thursday Friday, Saturday and Sunday (book your inspection time today). Phone, text or email today for full information pack and details of all the options!